Always inspired by her travels, jewelry guru Monica Vinader spent eight years working in Mexico and South America before launching her line in 2002. Armed with a degree in the Decorative Arts from City Guild in London, the Spanish designer chose a converted 16th century barn in the UK countryside as the company headquarters. Influenced by nature and her love of gemstones and pearls, the collections are full of color, with custom cut semi-precious stones stealing the show. Using this materials, the creations are one step above costume jewellery. 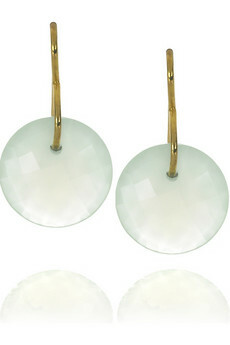 The 3 things why i chose Monica Vinader jewelry is because her creations are always unexpected, unique and extravagant. Ooooh the necklaces are divine! lovely jewelry! im a jewelryhag myself. Those are very very beautiful! There's a true gift behind them! All those necklaces are divine! I love the labradorite necklace. 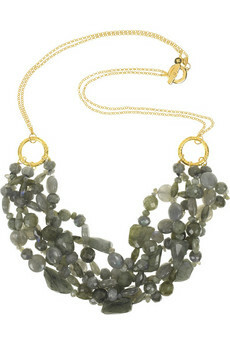 I am an accessories girl(shoes and boots excluded) but I am really enjoying the multi stranding necklaces. They are so much fun to wear. I especially like them tied with a beautiful ribbon. 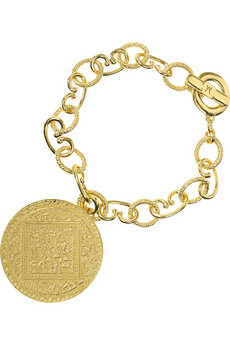 I adore this jewellery, I think I'll need to save my money for some treats :)! 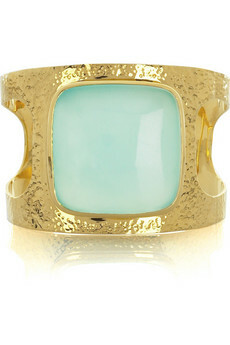 I am from Spain but I don't know Monica Vinader...I love the cuff and the lava ring. i love big jewelry like that. 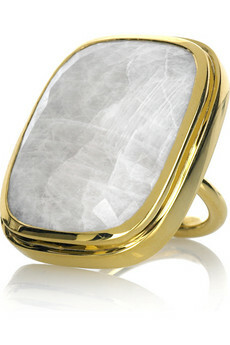 such statement pieces but so simple and classy at the same time.